Between the Frare trade and the Luke Voit trade, the Yankees have added $2.5M in international bonus money the last two days. They started with a $4,983,500 bonus pool, so they’re now up to $7,483,500. The Yankees also acquired an unknown sum of bonus money from the Brewers a few weeks ago. They can max their bonus pool out at $8,721,125 this year, and if they haven’t done it already, they should be pretty close. The Yankees have already signed — or agreed to sign — several international players since the 2018-19 signing period opened on July 2nd. Top Cuban prospect Victor Victor Mesa remains unsigned — he hasn’t been cleared to sign yet, of course — and the Yankees could make a run at him. I think they’re focusing more on other players though. The Yankees are in the smallest bonus pool bracket because of their market size and other teams can offer Victor² lots more. We’ll see. Frare, 25, was New York’s 11th round pick in 2012. He had a 0.62 ERA (2.24 FIP) with 33.7% strikeouts and 8.9% walks in 43.2 Double-A innings this year before one appearance with Triple-A Scranton earlier this week. 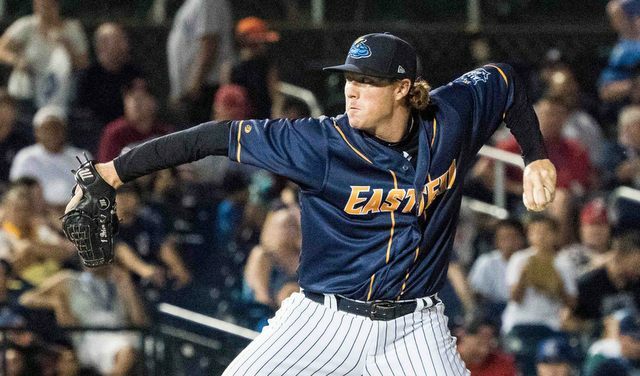 Frare is due to become a minor league free agent after the season and the Yankees have too many guys ahead of him on the bullpen depth chart, so chances are he would’ve looked for a greater opportunity elsewhere. The Yankees dealt him for bonus money rather than potentially lose him for nothing. Frare should get a look with the ChiSox. Good for him.